This piece originally appeared on Construction Business Owner. Read it here. Drones are already making a difference at construction sites. Companies are collecting data to monitor progress, optimize job reports, and complete many other construction functions by deploying these small unmanned aerial vehicles. The potential of drone technology is hard to overstate. Organizations are using drones to improve worker safety, accelerate data collection, and improve data quality—while simultaneously reducing costs. Yet for all the promise of drone technology, one major hurdle has prevented companies from reaping its full economic benefit—the ability to fly missions beyond visual line of sight (BVLOS). BVLOS flights are performed outside of the drone operator’s visual range, allowing the drone to cover far greater distances compared to typical commercial drone flights. This practice significantly improves the economics and feasibility of many commercial applications. Not only do BVLOS operations reduce costs, but they allow construction companies to collect high-quality visual information that until now was too expensive, dangerous, or impractical to gather. Yet it’s difficult to gain approval for BVLOS operations. In fact, 99 percent of all Part 107 BVLOS waiver applications submitted by commercial operators have failed to be approved by the Federal Aviation Administration (FAA), which processes and approves these difficult-to-obtain waivers. Many organizations, including construction companies with large civil projects, that would stand to benefit from augmenting their site operations, planning, and projects with BVLOS drone operations are locked out from realizing the technology’s full potential. This doesn’t have to be the case. The ability to fly BVLOS can help construction companies realize long-term cost savings for projects, schedules, and budgets. And recent safety research conducted by PrecisionHawk as a part of the Pathfinder II Initiative—a three-year study focused on accelerating discovery and informing regulations on drones chartered by the FAA— shows a path forward to realize the gains the practice of operating BVLOS can provide. Improving efficiency—Each drone flight and landing takes time. BVLOS allows the drone to collect more data using fewer labor hours than a ground survey team. Furthermore, executing a successful drone flight costs less than several traditional aerial intelligence platforms, including manned helicopters and airplanes. Compared to traditional ground data collection, drone missions can capture higher-fidelity data across a larger area, yielding an accelerated data collection phase for a project. Increasing precision—The lower altitude of drone flight makes UAV missions ideal for high-resolution data collection, which can yield dozens of xyz points per square foot including over variable terrain and vegetation canopy. By comparison, traditional ground survey methods, using a total station, typically collect transects every 10–50 linear feet and require extensive interpolation of ground and features between these transects. Ensuring safety—In many cases, drones prevent humans from being placed in dangerous situations, either removing them from an aircraft or a hazardous area. According to data from OSHA, 937 construction workers died while on the job in 2015—38.5 percent as a result of a fall. Furthermore, the indirect costs of safety incidents are 2.7 times greater than the direct costs. By deploying unmanned aerial vehicles, companies reduce risk.. Preventing overruns—Cost and schedule overruns are endemic of infrastructure construction projects. Nine out of 10 large infrastructure projects experience a cost overrun—and the average escalation is 28 percent. These projects typically take 20 percent longer to finish than originally scheduled. Companies can use aerial data to provide a more accurate scope and cost estimation, as well as optimize their project scheduling, reducing costs and preventing schedule overruns. By providing a safe, precise, and efficient data collection process through BVLOS flight missions, companies can streamline their project operations. Yet, by incorporating BVLOS missions as a regular business practice and investing resources in shifting business operations toward this emerging opportunity, companies can increase profit, enhance worker safety, and complete projects on time and on budget. The Pathfinder Report provides a blueprint for organizations to realize the potential of BVLOS missions by establishing standards and best practices. The study considered 20 data factors in the drone operator’s decision making. To measure and analyze these factors, researchers deployed drones in the same environments where commercial operations would likely occur. During research missions, aerial intruders—manned aircraft flown by FAA-certified pilots—approached the drone’s area of operation from headings unknown to drone pilots flying the BVLOS mission. The study focused on how drone pilots could and would detect the intruder and determine what to do with this new information while continuing to operate the drone mission. More than 600 flight approaches were conducted by 75 drone operators in the field and an additional 70 pilots flew additional missions through simulations. What the study demonstrated was that flying a drone is the easy part. What was more challenging was providing the safety ecosystem required for BVLOS flight—the underlying support systems and infrastructure. Detection—Installed technology must be able to identify cooperative and non-cooperative aircraft intruders—and be able to take evasive action. Additionally, drones ought to be equipped and deployed with technology to provide real-time status alerts during operation to indicate reduced functionality, such as lag, latency, and failure. Safety—The drone pilot must be educated and knowledgeable of existing airspace classes, temporary flight restrictions, and no-fly zones. They must also be able to conduct pre-flight checks of all hardware and execute in-flight operations. Training—Pilots must first demonstrate capability operating unmanned aerial vehicles in the visual line of sight before receiving BVLOS training. A best practice for would-be BVLOS pilots to complete a practical performance evaluation through a comprehensive in-field test. Launching an internal drone program requires a significant financial investment. Beyond acquiring drone and sensor hardware, there’s a human capital investment required as well. Construction companies that value patience and can approach an investment in a drone program with a learning mindset are best poised to become pioneers, in aerospace and this industry. Companies that direct resources to establish and test flying BVLOS drone missions compared to their current traditional data-gathering operations are most likely to gather the comparative information needed to understand and realize the gains that can be made by shifting resources from traditional methods to new, innovative ones. Trials, pilot projects, and live-action flight missions can provide an excellent mechanism to build buy-in among stakeholders, including executive leadership, board members, and other key staff required in long-term strategic planning. It starts with you—pioneers within the organization, interested in driving a strategic innovation through implementing new technology. BVLOS flight is the linchpin for future commercial applications—and with this emerging technology, the sky is literally the limit. Leading companies are already establishing best practices for flight operations and for BVLOS missions. 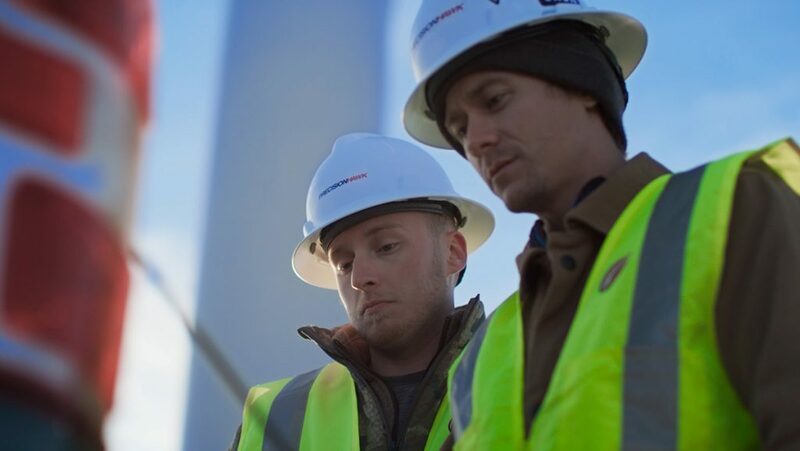 While there are third-party contracting options for drone-based data collection, PrecisionHawk envisions a future when companies can use insights from above and beyond by adding this technology to their organization's core competencies. By doing so, these pioneers can capture market share, deliver value, and make job sites safer and more efficient. Eager to learn how BVLOS drone operations can help you make your jobsite more safe and efficient? Speak with one of our BVLOS drone operations experts today.